The one great impression I have from this much-lauded film — which I just got around to watching — is how imperceptive, and even incurious, it is about what makes Calvin and Hobbes the best of its genre. There are a good many vague mumbles about its being well-drawn and well-told, and imaginative, and “intimate” (whatever that means), and so on and so forth. The film doesn’t seem to know what it’s about: the history of cartooning? The death of newspapers? Chagrin Falls, Ohio? The promise and peril of marketing? So let’s try to get a grip on the question of the strip’s greatness. Calvin and Hobbes is about finding freedom within structures of constraint, and being able to do so through the strength that comes from knowing that you are unconditionally loved and perfectly understood, even, or perhaps especially, when the one who understands you perfectly sees your flaws and foibles as well as your charms and virtues. The strip is therefore concerned with the interaction of complex forces that are always in tension with one another, which requires a standard visual style that is highly energetic and the creation of multiple secondary visual styles in order to illuminate particular points at which those forces intersect. That’s enough to get us started, I think. I saw the documentary recently, too, and had the same reaction to its failure to rise above standard fanboy admiration tropes and clichés. It did present some information I never got as a reader of the strip (e.g., pressure to merchandise, the Chagrin Falls setting), but annotations in The Calvin and Hobbes Tenth Anniversary Book (which I just reread) do a better job of describing those aspects, which are provided by Bill Watterson himself. I like your list of attributes that made the strip great, especially the strength of unconditional love, but the source is rich and deep enough to be satisfy other sentiments. 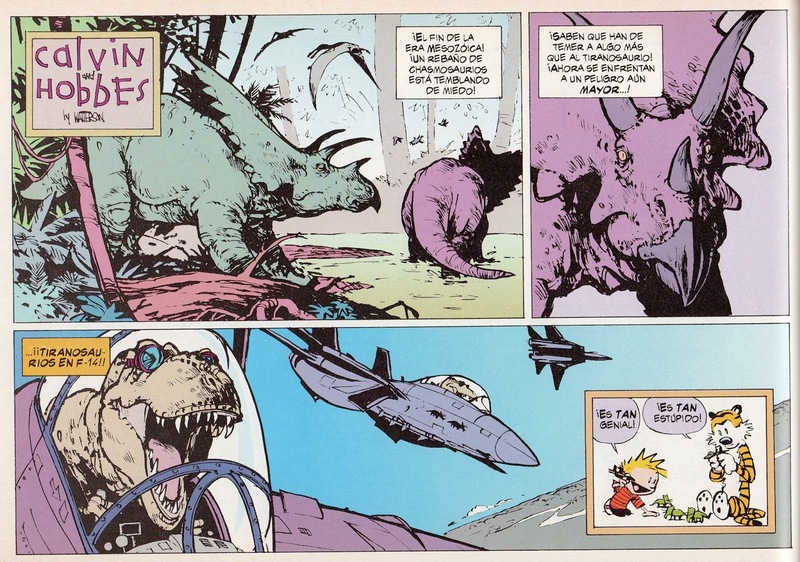 For instance, Watterson’s wickedly unpredictable creativity (his array of characters and visual styles) is quite amazing. I’ve never quite gotten how the central conceit of the strip, Calvin’s fantasy life vs. real life (within the frame of the strip) as evidenced by Hobbes going back and forth from stuffed animal to best friend and companion, can be denied as Watterson does. However, it’s not really a dilemma that demands a hard and fast answer. One of the real interesting potential ideas to explore is that, if you read the Tenth Anniversary book that's filled with Watterson's work, you may come across thinking he's... kind of a jerk. To me, anyway. Which gets into that crotchety genius trope I enjoy so much.